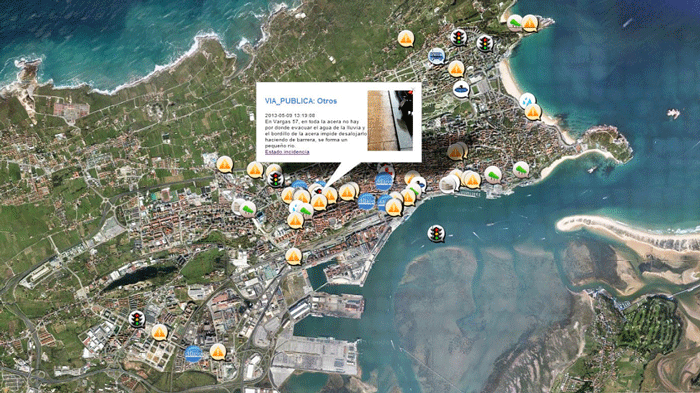 The year has begun with one of the most exciting news on the geospatial frontier. A much awaited project of 20 Smart Cities has been approved, that in many ways plans to rival Spain’s 12 Smart municipalities. 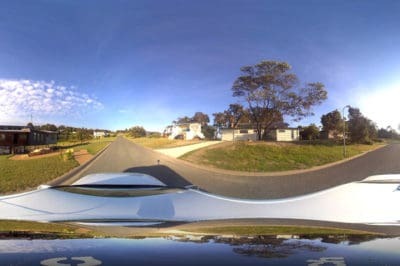 With more ongoing ‘Smart City’ projects in Amsterdam, Australia and Asia, this has opened up new vistas for global geospatial firms and practitioners. In view of the recent Climate Conference at Paris that emphasized ‘Adaptive Urbanism’, the Smart City momentum is well-timed. Decades of unplanned urbanization gave rise to transport perils, sanitation hazards, slums, inadequate housing, corruption, rampant pollution and rise of global epidemics like Ebola and Zika. Together with vulnerabilities to extreme weather patterns, the problems of urbanization have become global concerns. The process of urban resilience starts with building cities as models of global change makers. And the way to move forward is to build new processes and business models. The Smart City concept is a tech savvy way to address issues of unplanned urbanization. While definitions vary according to the levels of deployment, scale, community aspirations, and geographies, certain underlying features clearly characterize a Smart City. A Smart City is based on knowledge and innovation, functioning 24 x7 in a cloud environment, for best citizen services and sustainable practices. 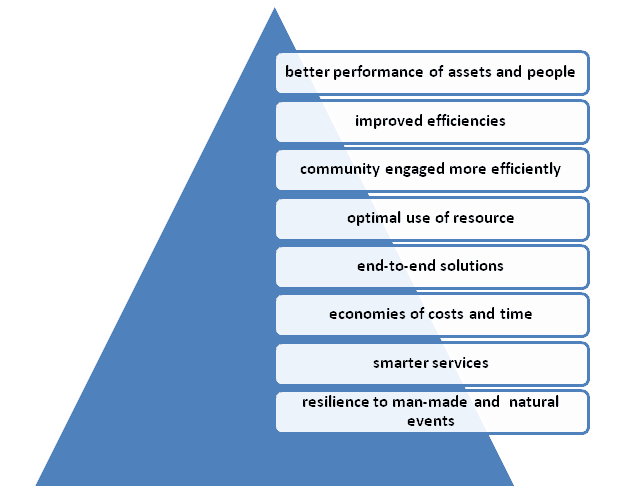 A comprehensive definition would be “a data-driven urban environment aimed at sustainability, transparency and efficiency, driven by an ICT enabled model rendering a visual framework, and a seamless use of disruptive technologies in various application scenarios, served by an intelligent community framework”. The geospatial structure in a Smart City ecosystem, can serve any or all of the above functions. For instance, Hamburg implements GIS in a smart energy-efficient housing initiative, while Stockholm focuses on smart e-services. 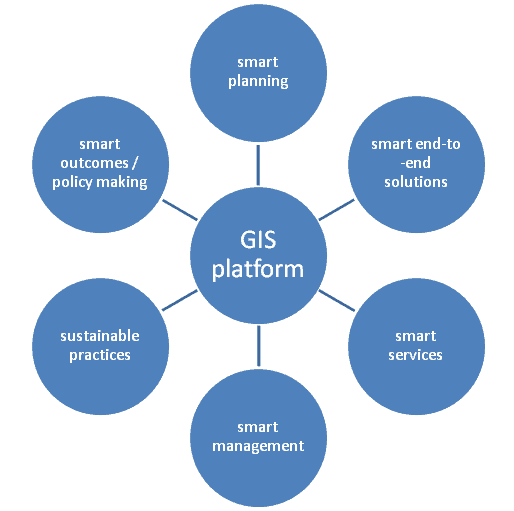 Smart City GIS is thus an integrated cross-sectoral platform to collect, manage, compile, analyze and visualize spatio-temporal information for sustainable urban planning, development and management. 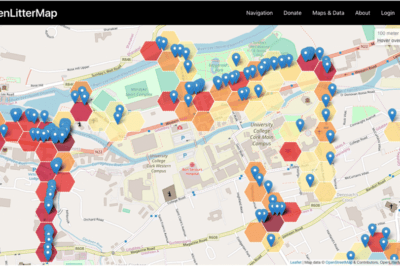 In addition to the components of GIS, the Smart City GIS framework has to be ‘always-on’ and connected for a seamless flow of information. For this, the cloud is the ultimate enabler. Community / citizen body as the user of public assets and services, as active participant in open governance, and a vital link in the ‘connected communities’ set-up that sets apart a smart city. GIS is deployed at every stage of planning and development of a Smart City. 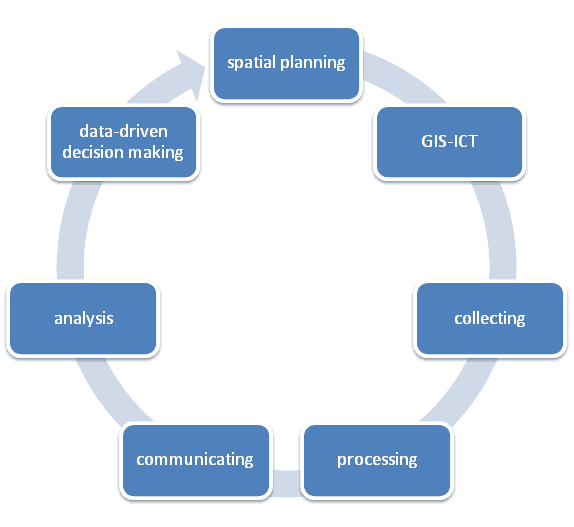 The underlying framework is served by ICT (Information and Communications Technologies), while the focus is on the ‘spatial’ or GIS. The common platform operates through all stages of the life cycle – from modeling, planning, building to managing – across the full spectrum of functionalities. Spatial planning – with one or more thrust areas of deployment. For instance, an existing city may focus on smart solid waste management using big data and GIS (Sweden, San Francisco), while a new city may be developed wholly as a ‘green’ tourist hub (Lavasa, India). Communicating – a two-way flow of information between participants, stakeholders and citizens; real time alerts and action in a distributed computing environment. Analysis – crunching of structured (digitized) and unstructured (social, surveys) big data for analysis in real time. 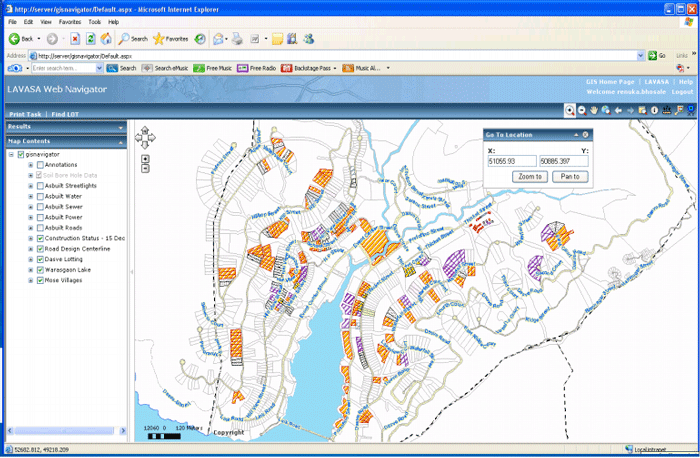 AREAS OF DEPLOYMENT – – Land use planning, comprehensive waste management, climate resilience of city and community, smart transportation grid, smart utilities metering and grid, smart open data governance, smarter community services, slum management, energy efficient buildings, smart energy grid / renewable energy framework, smart water (Tauranga), asset management, e-services, planning and analysis in 3D (Auckland), citizen services. Amsterdam smart city is an innovative partnership between companies, governments, knowledge institutions and the people of Amsterdam. The focus on sustainability and open geodata policies is driven by a strong geospatial framework. 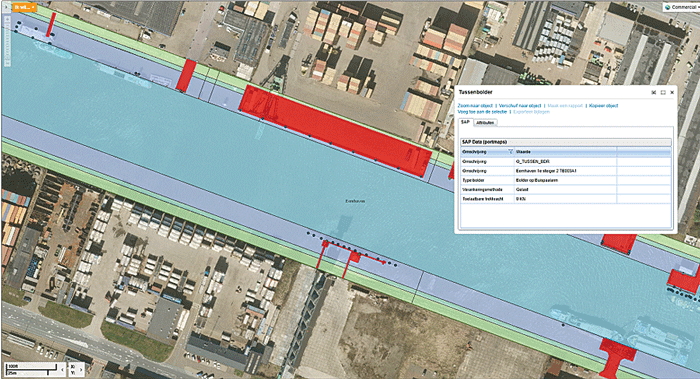 Netherland’s partnership with ESRI has ushered in a new era in smart port management, with the PortMaps system of Rotterdam. Songdo city’s claim to fame is more than being the world’s first smart city. Built on scratch from 600 hectares of reclaimed land off Yellow Sea in South Korea, it is part of a low-carbon growth mission using smart connected technologies. All stakeholders are digitally networked. A centralized system supports management of services from waste disposal to public transportations schedules and more. Household waste is directly sucked from kitchens into an underground network of tunnels to processing and sorting centres, with plans of harnessing renewable energy in the offing. Barcelona smart city in Spain uses innovative solutions in an intelligent spatial grid for clean, sustainable efficiencies. For instance, its transport system has an orthogonal grid, providing fast and efficient transit. Bus shelters have solar panels, screens providing waiting times, and interactive touchscreens served by several apps to plan routes. Hidden sensors in traffic lights track noise, traffic, pollution levels, crowds and even selfies posted from the street for a smart analysis. The pneumatic waste management system includes digital chips plugged into garbage containers, with a subterranean vacuum network through the pipes sucking up trash from the ground below.